Feed your Family and Friends for the upcoming holidays and help a student with a disability achieve greater independence and accomplishment. House of Hickory BBQ is teaming up with Southern STARRS to help provide Therapeutic Horseback-Riding and Animal Assisted Services for Middle Tennessee special needs children and adults. House of Hickory is offering their delicious Hickory Smoked Pork Roasts with their famous BBQ Sauce AND their melt-in-your-mouth Babyback Ribs for your Final Four weekend, or just for your next meal. or by arrangement with person who handled your order. Or call 615- 453-2592 to order and arrange pick-up. 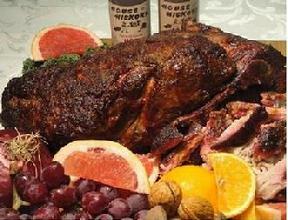 $35 per roast (& 1 bottle BBQ sauce.) STARRS receives $10 from every order. 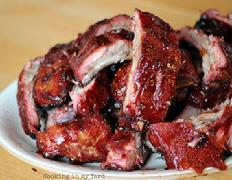 $20 per slab of BBQ Babyback ribs. STARRS will receive $5 from every order.